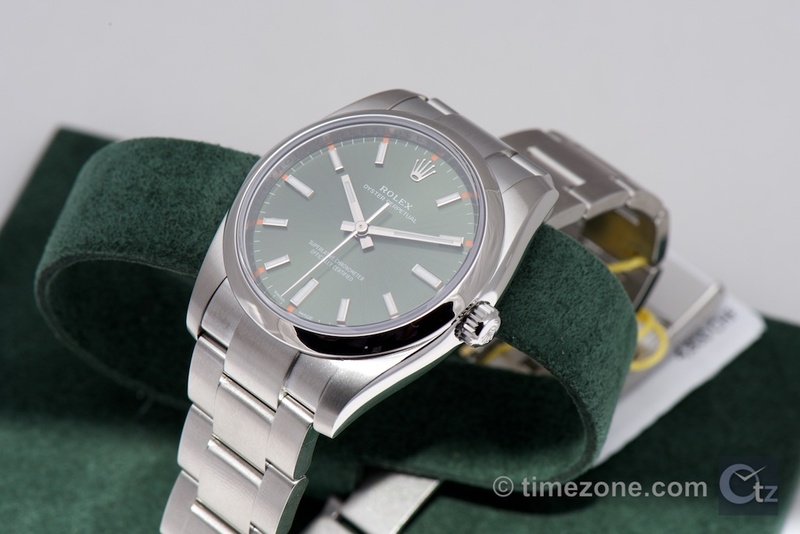 TimeZone : Rolex - Modern » Looks like SWMBO has found her next watch! is going to be following her home shortly! I have to say it looked great on her wrist, and the green is much more of a grey-green than you see on the Rolex home page. We're probably going to wait to be sure they don't release an even more exciting color at Basel, but looks like I have a(nother) Rolex addict in the house! Previous Topic: It's TGIF, what's on for Friday and the weekend?..